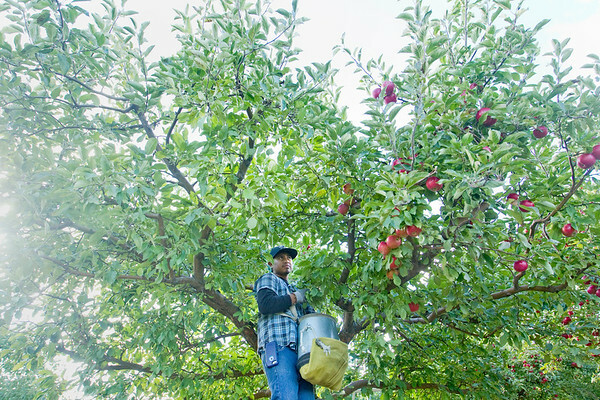 Agripino Reyes picks Ida Red apples with a co-worker in an orchard at Jelinek Orchards near Northport. "We're backed up because it is just the two of us working," Reyes said. Orchard owner Marty Jelinek said they were down three workers this season, but should have some extra help this weekend and be finished harvesting in a week. "There's light at the end of the tunnel," said Jelinek, who said that adequate moisture and heat allowed his orchard to do well despite some spring frost damage.